Scientists from EPFL, Germany and France have revealed a new property of the cheap and abundant material anatase titanium dioxide, which promises applications as a medium for room-temperature nanosensors of mechanical stress with an optical read-out. In a twist, the lab of Majed Chergui at EPFLwithin the Lausanne Centre for Ultrafast Science, in collaboration with the theoretical groups of Angel Rubio at Max-Planck (Hamburg) and Pascal Ruello at the Université de Le Mans, has demonstrated that nanoparticles of the anatase polymorph of titanium dioxide can revolutionize the field. Titanium dioxide is a cheap and abundant material that is already used in a wide variety of applications such as photovoltaics, photocatalysis, transparent conductive substrates, sunscreen, paints, water and air purification. With their recent discovery, published in Nano Letters, Chergui and his colleagues show that titanium dioxide is the most promising candidate for the development of room-temperature sensors of strain at the nanoscale and with an optical read-out. In their experiments, the researchers launched a mechanical stress wave inside titanium dioxide nanoparticles at room temperature and monitored their optical response in the vicinity of the main absorption band of the material, called an "exciton". They found that the latter undergoes a change of intensity under the applied mechanical stress. This simple response is at odds with the behavior of all known materials, whose optical responses to mechanical stress are complex and unpredictable. 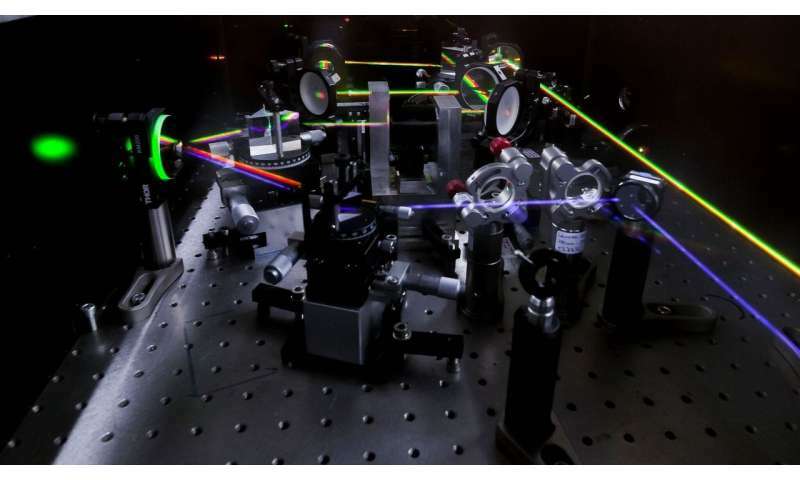 These new findings pave the way to the development of sensors with an optical read-out based on a single laser frequency tuned to the exciton resonance. "This observation was made possible thanks to our novel ultrafast laser techniques in the deep-ultraviolet. We expect our experimental method to lead to even more exciting discoveries in the nano-world in the near future," says Edoardo Baldini(first author of the article, now at MIT).